Students of the Dominica State College (DSC) want Prime Minister Roosevelt Skerrit to keep his assurance that from January 2019 the outstanding balances of all persons who took student loans from the AID Bank Revolving Loan Fund and other institutions and have returned home would be reduced by 40%. But that remains a yet-to-be-fulfilled promise. "Further to Prime Minister Roosevelt Skerrit's statement in question, we advise that we are awaiting final communication from the Government in this regard," said the AID Bank's Marketing and Communications Officer, Josephine Dechausay-Titre. "We do believe that the Government is working on this matter and as soon as it has communicated to us, we will then apprise the general public of the details." 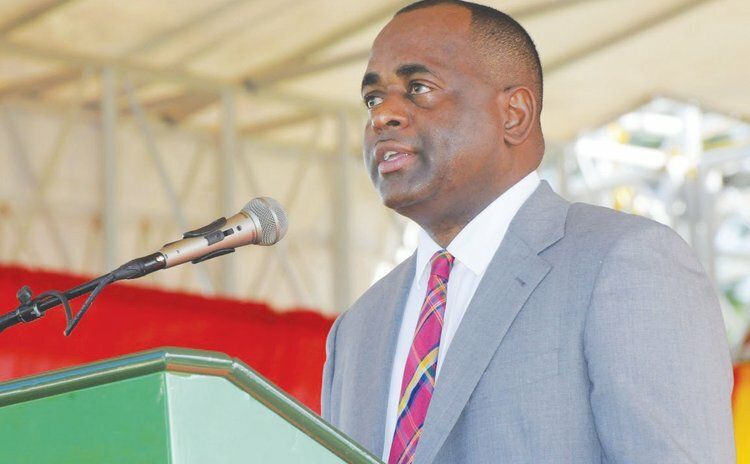 In his Independence Message delivered at the Parade of Uniformed Groups at the Windsor Park Sports Stadium on November 3rd 2018 Prime Minister Skerrit said he was impressed with students who had borrowed money from the AID Bank and had chosen to return home on completion of their studies. "I am particularly impressed with those who borrowed money from the student revolving loan fund and who, against all the pessimism and gloom preached daily by some in our midst, returned to our country, Dominica to contribute to the development of our island," Skerrit stated. Skerrit said their skills and knowledge has been a tremendous asset to Dominica in the period of "reconstruction" adding, that "while they could have remained abroad and earned the Yankee dollars, they chose to return to Dominica and be part of the building and rebuilding process." "They work each month and they make the sacrifice of repaying their loan. There are also those who, unfortunately, have not yet found employment or satisfactory employment but are still bonded by law to repay their debts. We need them home, ladies and gentlemen," the prime minister said. He said the graduates' skill sets were needed in Dominica especially now as the country has embarked on the task of building a climate resilient nation. Then he promised: "I have therefore again, advised the relevant authorities in government to effect a system whereby come January 2019, the outstanding balance on the accounts of all graduates who have returned to Dominica and who are either working or are in the process of seeking employment, shall be slashed in commemoration of this particular anniversary of independence … shall be slashed by 40%. "Whatever they owe AID Bank or other institutions on their student loans, the government shall absorb 40% of the remaining balance as a means of saying congratulations on your achievement. Thanks for returning home and we're grateful for what you're doing to help build a climate resilient Dominica." But students who spoke to the SUN anonymously for this story say they appreciate and applaud the gestures offered by the Prime Minister but he needs to "clarify the situation." The students claim that since the statement of the Prime Minister when they approach the bank to pay their loans they are being make fun of. "They say to us that they heard the same comments like us and they have no details to give to us about 40% reduction in student's loan and laugh at us", one student said. "The 40% would go a long way but the PM needs to come and clarify. We need answers. The words spoken are of no effect. We need the benefits to take effect."